Truck Accessories Leander: We Can Help You Accessorize Your Truck! Your Truck Customization Options are Limitless! Our trucks tend to become important parts of our lives. Whether we just use them to get to and from work or they’re everything from a work vehicle to the way that we get outside and enjoy ourselves, our trucks become a part of us. 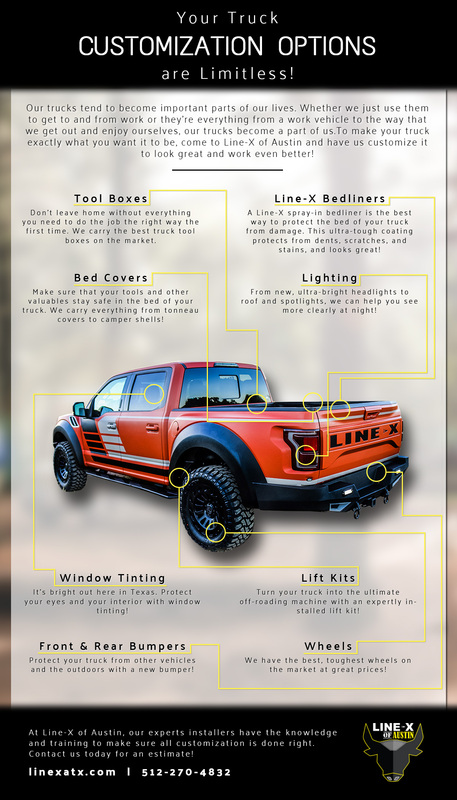 To make your truck exactly what you want it to be, come to Line-X of Austin and have us customize it to look great and work even better! In addition to being an authorized Line-X dealer and installer, we have a huge number of truck accessories that can make your truck into the perfect machine to help you work or have fun! We perform all work in our in-house service center, so you don’t have to worry about a third party being involved. Contact us today for a free estimate on all of the truck parts and accessories you want! A Line-X spray-in bedliner is the best way to protect the bed of your truck from damage. This ultra-tough coating protects from dents, scratches, and stains, and looks great while doing it! In addition to spraying your bed, we can also spray any other part of your truck to give it the added protection it might need! It’s bright out here in Texas. Protect your eyes and your interior with window tinting! Whether you just need something to take the edge off, or you want tinting that makes your truck comfortable to be in all day, we can take care of you. Don’t leave home without everything you need to do the job the right way the first time. We carry the best truck tool boxes on the market that make it easy for you to be ready for anything. Protect your truck from other vehicles and the outdoors with a new front or rear bumper! 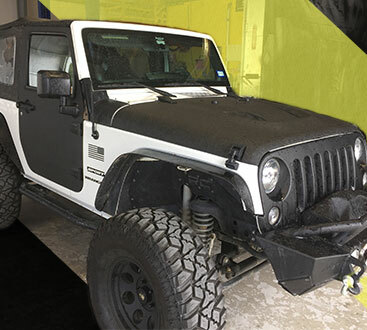 Our aftermarket bumpers are available in a wide range of sizes and styles, so you’re certain to find one that matches your personal preference. Turn your truck into the ultimate off-roading machine with an expertly installed lift kit! We perform all lifts using the best parts, so you’ll never have to worry about sloppy work. Make sure that your tools and other valuables stay safe in the bed of your truck with a bed cover. We carry everything from tonneau covers to camper shells! From new, ultra-bright headlights to roof and spotlights, we can help you see more clearly at night! We even carry light bars! We have the best, toughest wheels on the market at great prices! At Line-X of Austin, our experts installers have the knowledge and training to make sure all customization is done right. Contact us today for a free estimate or if you have questions about how any of our truck accessories can benefit your ride. 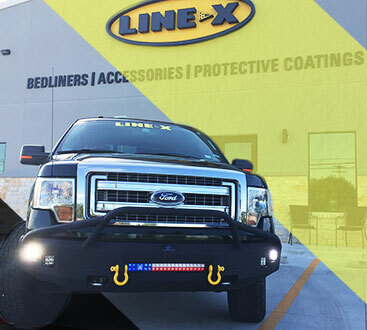 We’re proud to be an authorized Line-X dealer, so you know that when we install a bedliner, it will look great and protect your truck from damage! Here at Line-X of Austin we honor those who serve our country and our community. If you are military or an emergency responder, ask us about our special discounts as a thanks from us to you. ©Line-X of Austin | All Rights Reserved.